The traffic flowing from Lacona, a sleepy town in southern Iowa was unmistakable. Silverados, F-150s and super duty trucks followed each other east out of town in an ad hoc parade of farm trucks. Two miles east, one mile north and a quarter mile west revealed their destination. It was a farmstead on a ridge overlooking a scenic valley with frozen farmland stretching into the distance. A man directing traffic directed drivers to park in the field and then head to the barn. Snowfall the night before yielding several inches of powder was cleared from the field. Now, nearly 70 trucks were parked adjacent to three parallel lines of assorted implements. Men look over tractors before the auctioneer sells them to the highest bidder. A short walk from the trucks to the barn revealed the unmistakable sound of an auctioneer. He rattled off numbers in a cadence that could be mistaken for a song. It was auction day and a large crowd had turned out to find deals, visit with neighbors and pay tribute to a lost friend. 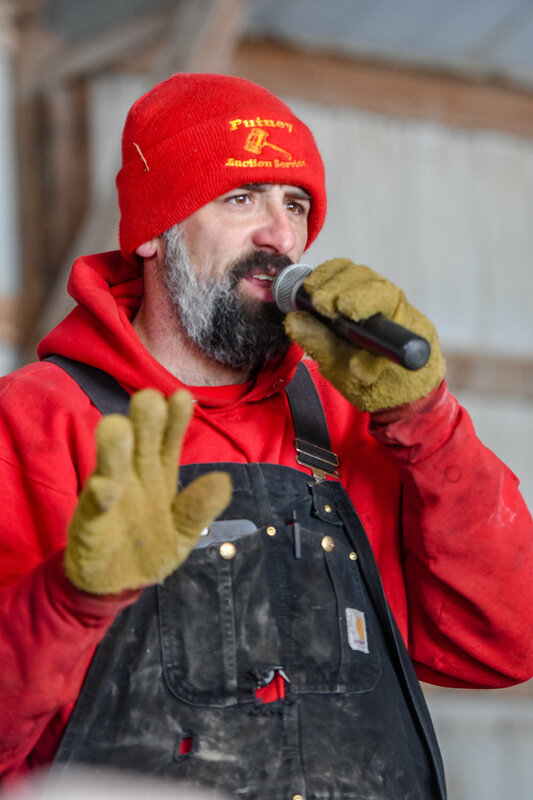 Farm auctions are part of the tapestry of Iowa. According to the National Auctioneer Association, they date back to the 1600s and the arrival of the Pilgrims on America's eastern shores. Auction schools came to the United States in the early 1900s. And for farmers who persevered through the 1980s Farm Crisis, auctions occurred frequently, an oratory reminder of broken dreams and tough times for families next door. 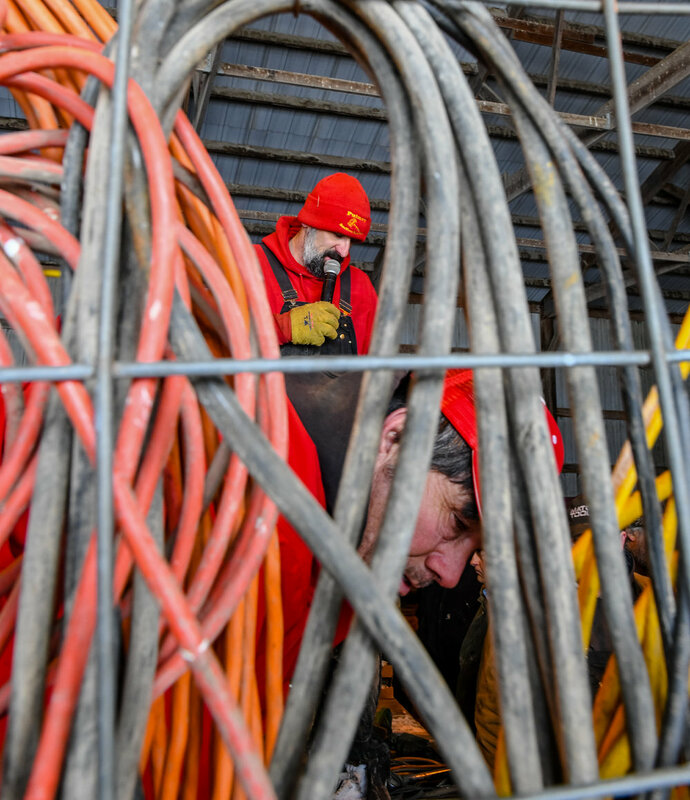 Now, on a chilly February day, bidders flashed their numbers as the auctioneer went from hay rack to hay rack selling extension cords, boxes of bolts and even chainsaws. 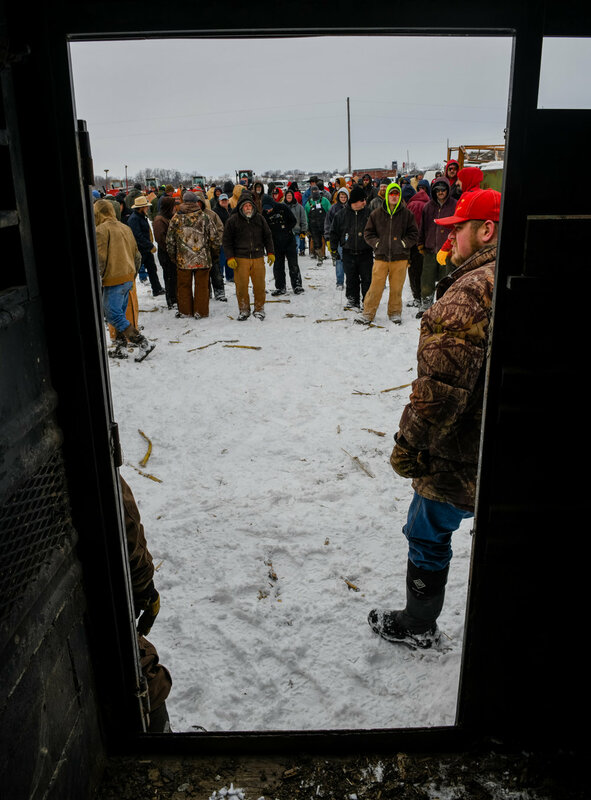 The warmth of the machine shed provided temporary comfort from the cold before the crowd moved to the frozen pasture for the big-ticket items. Like some auctions, a heavy feeling hung in the air. While people searched for deals and community members and neighbors visited, it was unmistakable that the gathering was predicated on pain of others. Change is at the root of every auction. Whether it was a retirement, a bankruptcy or a death, farm sales can be associated with broken dreams and the march of time. Today's auction fit the bill. A conversation between neighbors revealed that the owner had committed suicide. According to the Centers for Disease Control (CDC), suicide was the 10th leading cause of death for all ages in 2013. The CDC also noted that males take their own lives at nearly four times the rate of females and represent 77.9 recent of all suicides. Suicide can have lasting harmful effects on individuals, families and communities. The reasons behind suicide aren't always clear but depression is often at the forefront. Downward economic pressure in the farm economy paired with tight margins in farming can lead to depression for farmers. To help farmers deal with depression and stress Iowans can call the ISU Extension and Outreach Iowa Concern Hotline, (800)-447-1985. The Iowa Concern website has a live chat feature as an additional way to talk with stress counselors. Agencies and professionals serving individuals and families can contact local ISU Extension and Outreach offices about Iowa Concern hotline number business cards available for distribution. As the last items were sold and the auctioneer's voice fell silent the parade of trucks dispersed across the frozen countryside. 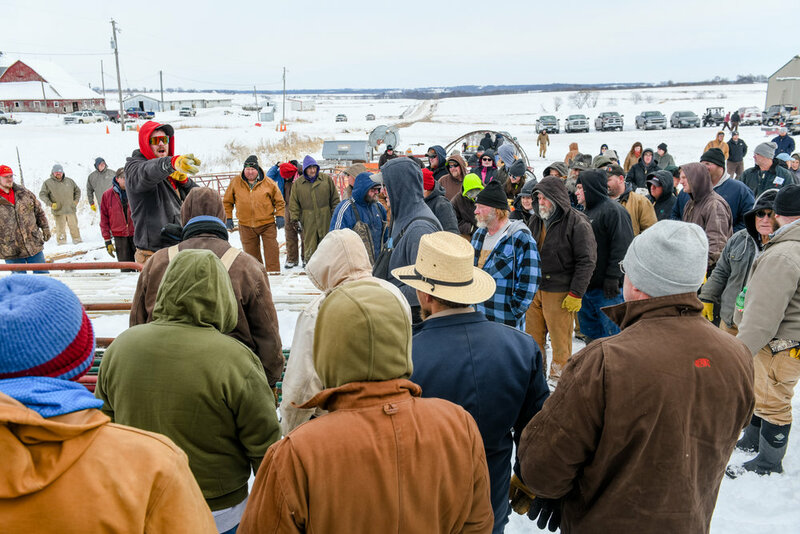 As one farmer said; auctions are a sweet and sour time where farmers put portions of their life's work up to the highest bidder.